Showing 39 articles from September 20, 2017. 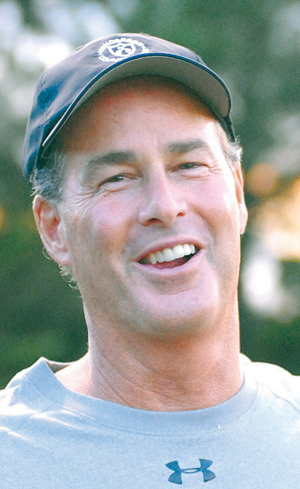 Hospital deal OK'd; ER is a year away? LOUISBURG -- Nearly two years after Novant Healthcare picked up stakes and shut down Franklin County's only hospital, county commissioners approved a deal with Duke Lifepoint to bring an emergency room, mental health care and related services back to the county. If no major hiccups arise, Duke Lifepoint, a partner with Henderson's Maria Parham Hospital, is set to open its emergency room doors in Louisburg in mid to late 2018 -- taking into account the time needed to hire staff and renovate the building. 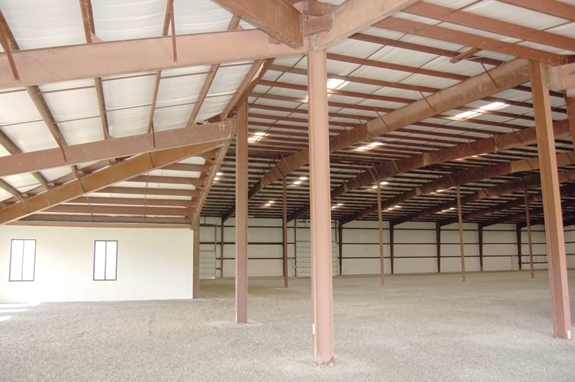 LOUISBURG -- Triangle North Franklin has its second tenant. Cedar Peaks Enterprises bought a nearly 34,000-square-foot building from Wake Electric adjacent to Triangle North Executive Airport, planning to customize the building for their contracting business. They will join Alliance One International -- a tobacco receiving station -- as the second business at the industrial site adjacent to Triangle North Executive Airport. LOUISBURG -- Money for a variety of projects was the focus during much of the Monday night meeting of the Louisburg town council this week. After an explanation of the project and a public hearing during which no one spoke, the council agreed to seek a $300,000 grant for the long-promised Bullock Drive water project. The town wants to replace the current two-inch water line with a six-inch line for about 1,500 feet, according to the town's consulting engineer Mike Aquesta. Don't trespass or fish at county 'park'! LOUISBURG -- Louisburg businessman Edgar Owens bequeathed the county nearly $1 million to build a park -- including a fishing pond if there was enough money. More than seven years later, visitors to the site of what is now the V.E. 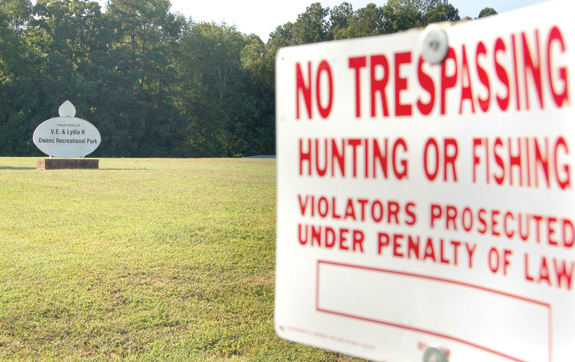 and Lydia H. Owens Recreational Park are greeted by a no-trespassing sign. It was not the welcome sign that Youngsville resident Steve Trubilla expected to see when a resident asked him about the park's status. We can spend 20 years and countless dollars creating the Cassini spacecraft and then launch the school bus-sized vehicle on a journey to research Saturn and her moons and rings. It was a spacecraft that performed beautifully during its long journey, sending home both data and photos that will keep scientists fascinated for decades. Students at the Franklin County High School -- aided greatly by school staff and administration -- achieved the first 'A' grade from the state earlier this month. That is a tremendous accomplishment that shouldn't come as a surprise. 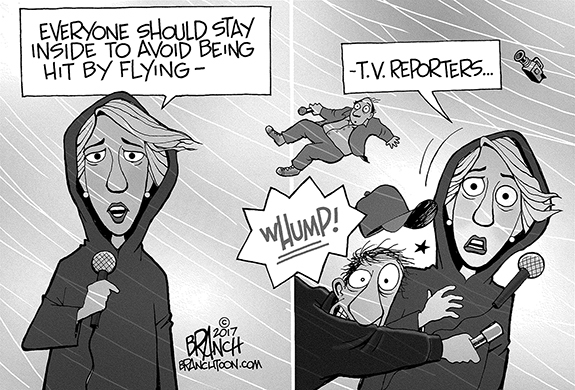 There still remain opportunities for people to take an active role in the safety of their communities. On Tuesday night, the Franklin County sheriff's office held a forum on gang activity in Franklin County. It's part of the department's continuing effort to engage with the community, educate residents and build upon community policing efforts. 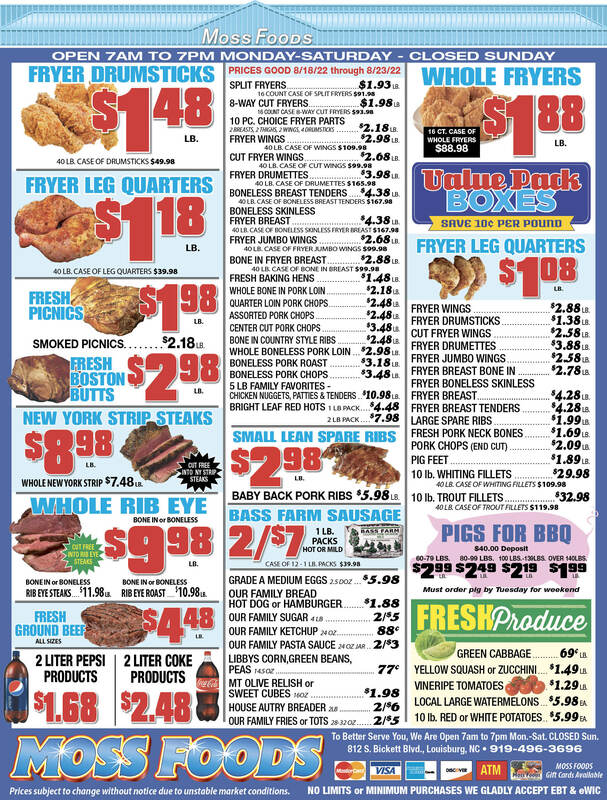 There is a little town in Franklin County, North Carolina close to my heart. I already knew about it geographically and visually, and had passed through it many times; I had even participated once in the Relay for Life event on the Bunn High School athletic field. Capt. William Ballard Barrow, Jr., 95 of Pensacola, FL, passed away on Thursday, September 14, 2017. He was born on September 30, 1921 in Louisburg, NC. LOUISBURG--Funeral services for Johnnie Earl Yarborough, 45, who died Saturday, Sept. 16, 2017, will be held Saturday, Sept. 23, at 11 a.m. at Allen Chapel Baptist Church in Louisburg. FRANKLINTON - Katie Marie Murray, 79, died Saturday, Sept. 9, 2017 at her home. Funeral service was held Thursday, Sept. 14, at First Baptist Church, Franklinton, with the Rev. André Johnson, pastor, officiating. Interment followed in Fairview Cemetery, Franklinton. LOUISBURG - Mary Louise Dixon Beam, born August 22, 1925, joined her heavenly family on September 12, 2017. She was preceded in death by her parents, Thomas Garrard and Earline Vinzant Dixon; her husband, Gaither McIntyre (Buddy) Beam Jr,, and her son, Thomas Allen Beam. LOUISBURG--Funeral services for Randolph Crews, 46, who died Saturday, Sept. 16, 2017, will be held Saturday, Sept. 23, 2017 at 3 p.m. at Edward Best Elementary School, Louisburg, with Pastor James Perry officiating. Burial will follow in the Walnut Grove church cemetery. LOUISBURG - Tasker Brooks Southerland, 82, of Louisburg, died Tuesday morning at his home. WILLIAM F. "BILLY" GRIFFIN JR.
LOUISBURG--William F. "Billy" Griffin Jr. died Monday, Sept. 18, 2017. Lancaster Funeral and Cremation Services in Louisburg is caring for the Griffin Family, where arrangements are incomplete at this time. 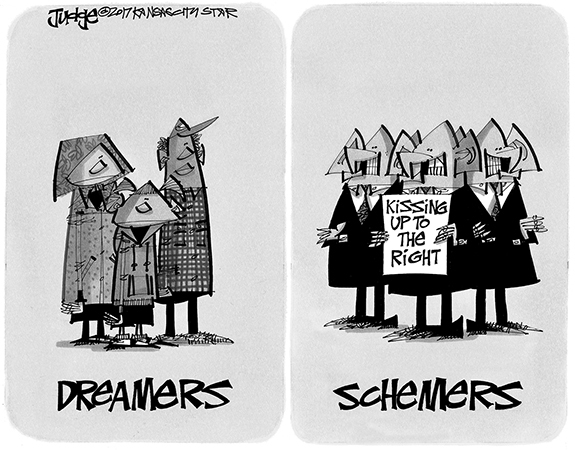 ROOM TO RUN. 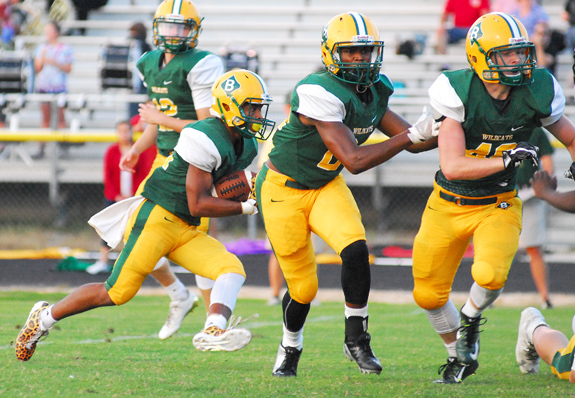 Bunn High School's Michael Perry (left) follows is blockers during last Friday night's home football victory against Oxford Webb. WHERE DID IT GO? 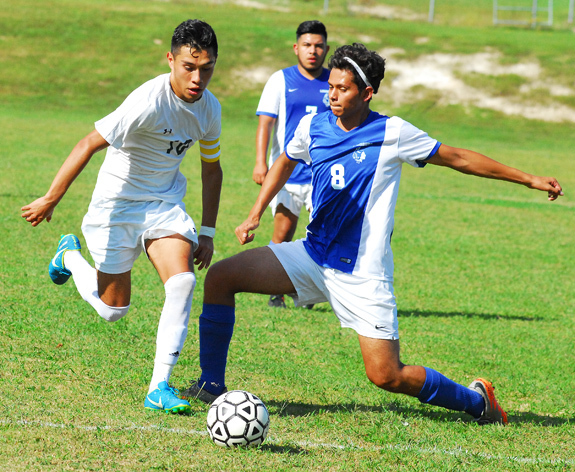 (L to R) Bunn's John Stallings and Louisburg's Ivan Garcia try to find the ball during last Thursday's prep boys soccer showdown. 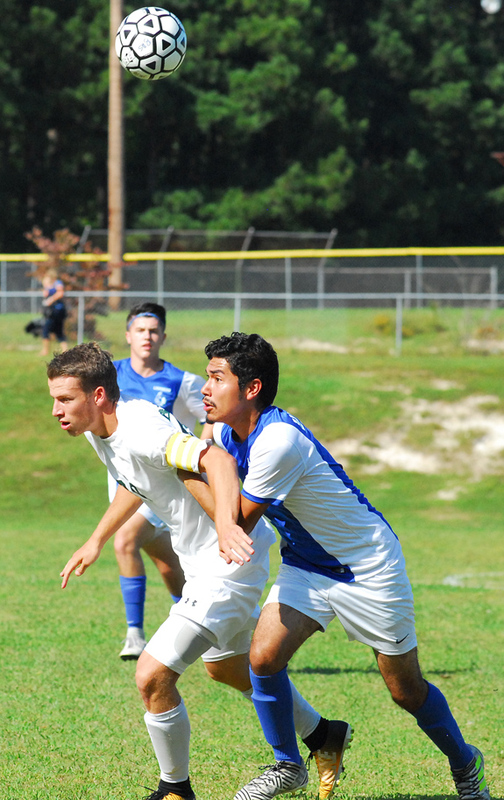 BUNN - Before the match, Bunn coach Charles Haley turned to Henry Morales, his first-year assistant, and explained to him the importance of the pending BHS-Louisburg boys soccer showdown last Thursday. Regardless of the records, the rivalry meeting is always intense, and the latest installment was no different. 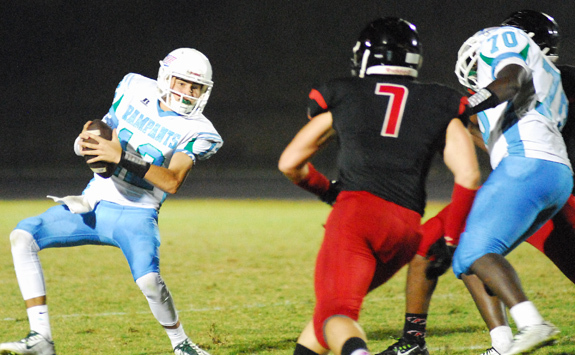 Franklinton senior linebacker Josiah Trotter (7) pursues Greenville Rose quarterback Grant Jarman during last Friday night's non-conference high school football matchup on the FHS campus. But each time, the other team made a strong late surge -- and it was Greenville Rose's turn last Friday night at the FHS Football Field. 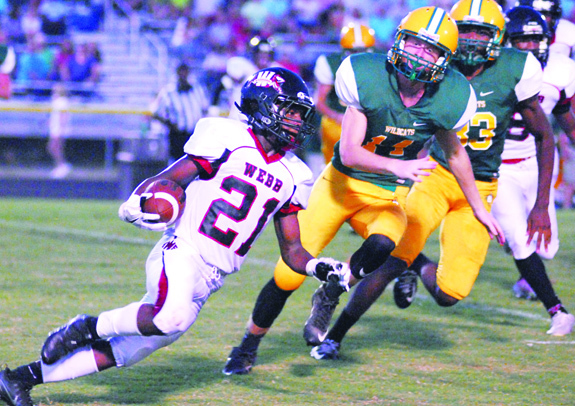 LOUISBURG -- Louisburg stayed in the game early, but visiting Roanoke Rapids would eventually prove to be too stiff of an opponent last Friday for the Warriors at historic Patterson Field. LOUISBURG -- Over two years -- and counting. That's how long it has been since Louisburg High School dropped a regular season volleyball match, and that streak doesn't appear to be on the verge of ending in the near future. TIP DRILL. 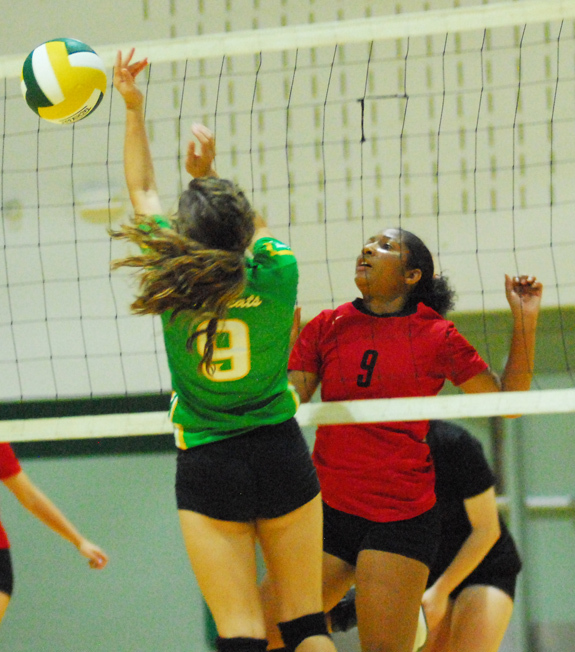 Franklinton's Jericka Brodie (right) sends a tip toward the net during Monday's road spike victory at Bunn. 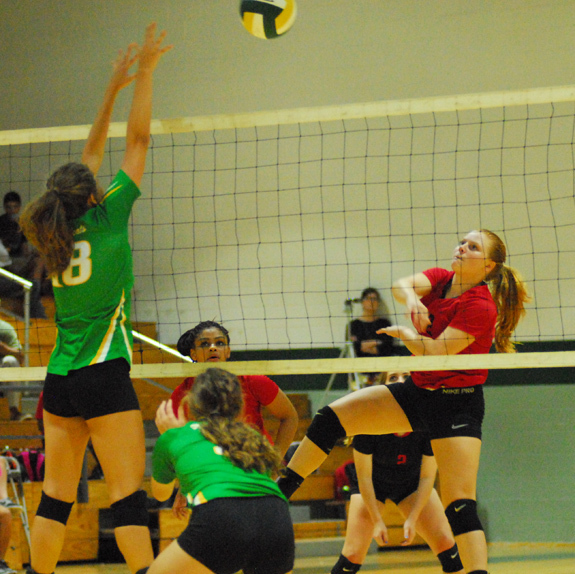 BUNN -- After two sets Monday, the Franklinton Lady Rams appeared to be well on their way to finishing off a regular season volleyball sweep of Bunn in convincing fashion. But the scrappy Ladycats had other ideas. 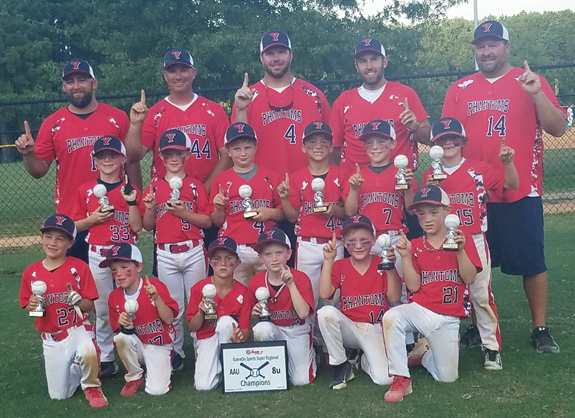 The Youngsville Phantoms 8-Under Travel Baseball Team won the gold bracket last weekend at the Game On Sports Super Regional tournament in Oxford. The Phantoms won three games, including a thrilling 18-17 decision over the NCDB River Cats in the championship. ROCKY MOUNT -- Former Franklinton High School standout Daquan Neal had a huge game last Saturday for Elizabeth City State as part of the annual Down East Vikings Football Classic. Neal, a senior quarterback, helped the Vikings edge Fayetteville State in a 45-42 thriller at the Rocky Mount Athletic Complex. SHOWING OFF THE TROPHY. 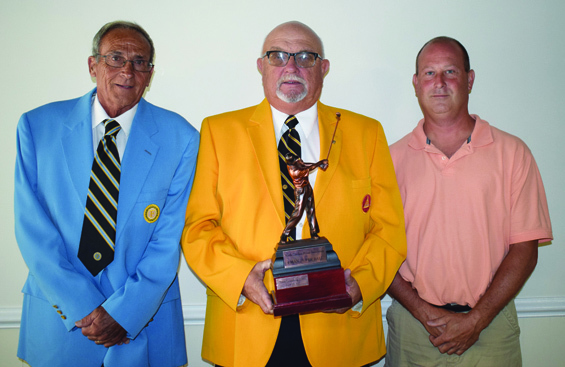 A team from Louisburg Moose Lodge No 2256 captured the first North Carolina Moose Association four-man superball state golf tournament in August. The tourney was played in Greensboro. Three members of the winning team were (from the left) E. H. Smith; Johnny King and David Boucher. The fourth member, Henry Jones, was absent when the photo was taken. Oxford Webb's Javonte Shroffner (left) tries to evade a tackle attempt from Bunn's Bentley Stasiewicz during last Friday's Northern Carolina Conference football contest. Bunn's Edson Servin (left) advances the ball while being defended by Louisburg's Eric Lopez. Franklinton's Shelby Sykora (right) tries to send a kill attempt over Bunn's Cari Jones during Monday's volleyball matchup at the Bunn Dome. Elaine Irhie (right) has been nominated as Franklin County's recommendation for the Department of Public Instruction's 2017 Educator of Excellence. The nomination was made by the Franklin County Board of Education at its Sept. 11 meeting. Presenting the award is Windy Edwards, director of exceptional children and student services for the district. Irhie is IEP team leader and exceptional children's department chair at Bunn Elementary School. 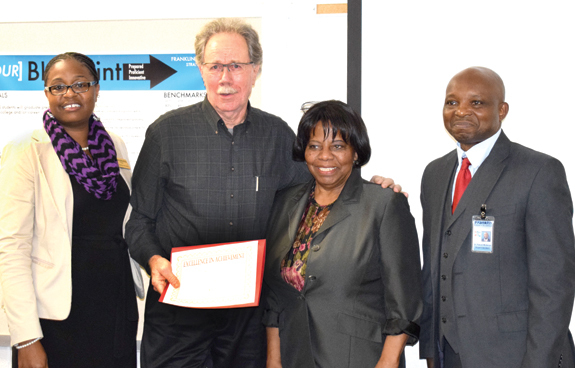 Early College High School Principal Erica Shoulders-Royster (left) presented a certificate of appreciation last week to Bob Radcliffe, founder of the Ben Franklin Society of Franklin County. She said the society "showed a genuine spirit and a commitment to make a difference for students. 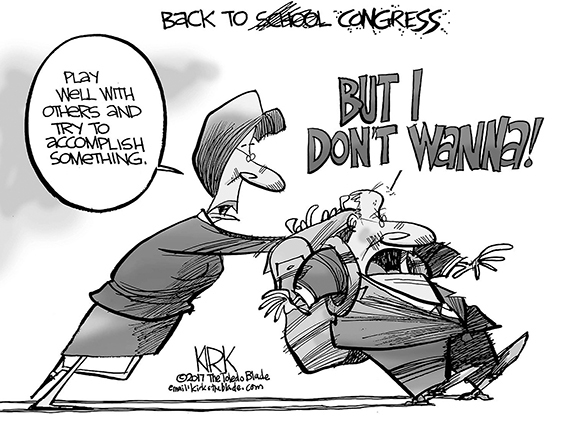 They rolled up their sleeves and got to work, they don't mind getting their hands dirty," she told the board of education. 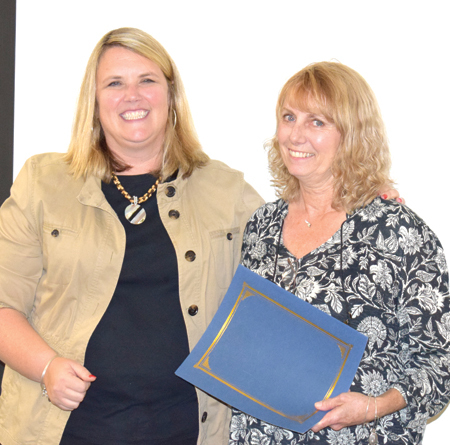 Jama Stallings (left), Franklin County Schools' nutrition director recognized four school nutrition managers during a recent Franklin County Board of Education meeting. All four were honored for their successful completion of the Department of Public Instruction's K-12 Culinary Institute held at Franklinton High School in August Those honored were (from the left) Tommy Matthews, Louisburg High School; Christine Edgerton, Edward Best Elementary; Kim Perry, Terrell Lane Middle School and Gloria Stewart, Franklinton Middle School. The Franklin County Board of Education made a number of personnel decisions at its Sept. 11 meeting. GREENSBORO -- Eleven Vance-Granville Community College students were formally inducted into the North Carolina Piedmont "Regionally Increasing Baccalaureate Nurses" (RIBN) program in a ceremony recently at North Carolina A&T State University's Union Square Campus in Greensboro. Steve Zobel, a member of Louisburg Lodge No. 2256 of the Loyal Order of Moose has received the Pilgrim Degree of Merit, the highest honor that can be bestowed upon a member of the Loyal Order of Moose. The conferral was held in the House of God at Mooseheart, Il, in June -- and the coveted gold blazer was officially presented to him last Sunday afternoon at the local Moose Lodge. 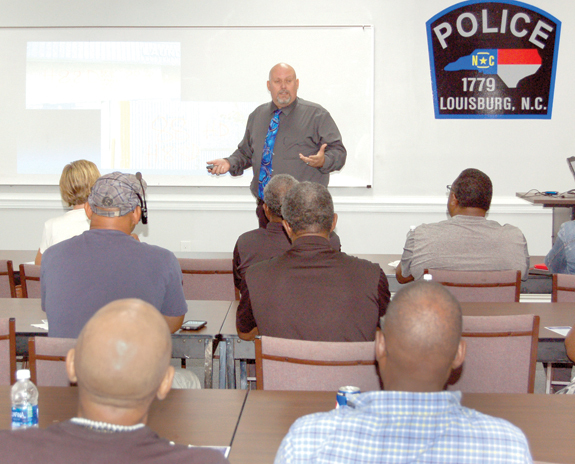 LOUISBURG -- Inside the Louisburg Police Training Center, residents heard gang slang, learned the principles associated with gang stars and translated the language that gangbangers use in the streets. It was like a classroom setting on Tuesday night, but the real tests will be in the neighborhoods and communities to which they return. 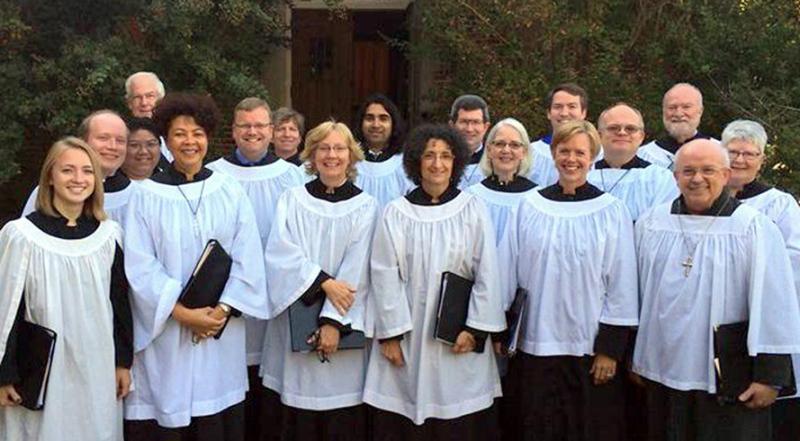 Emmanuel Episcopal Church will host the Raleigh Convocation Choir on Sunday, Oct. 1. The choir is a ministry of the Raleigh Convocation of the Episcopal Diocese of North Carolina and will sing choral evensong at 5 p.m. Formed in 2008, the ensemble performs music from the Anglican choral tradition and sings for church services in the Triangle and beyond. Their dedicated members are from churches and communities throughout the state.